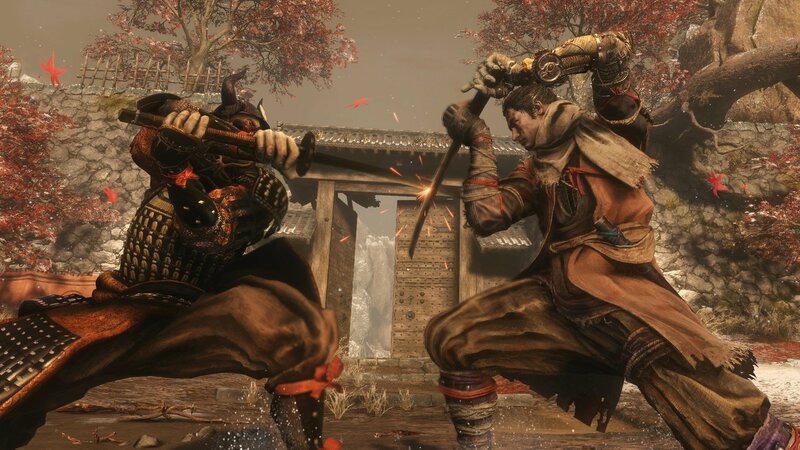 Learn how to defeat General Tenzen Yamauchi in Sekiro: Shadows Die Twice and discover a good strategy for cheesing one deathblow to make the fight easier. The fight against General Tenzen Yamauchi is significantly easier than the Chained Ogre fight that came before him. In saying this, because of his power, he can overwhelm you if you’re not prepared to deflect his attacks. Thankfully, if you’re able to clear the area, there’s a way you can make this boss fight far easier. Keep in mind that you don’t have to fight General Tenzen Yamauchi right now. You can continue on and find some more gourd seeds or prayer beads and return to him later. However, defeating this boss will reward you with a prayer bead, and he is a bit easier than what lies ahead, so it’s definitely worth fighting him. The fight against General Tenzen Yamauchi can be a challenge, make it easier for yourself by sneaking in and dealing a deathblow before the fight even begins. While not really a “cheese”, you can remove one of the deathblow counters before the General Tenzen Yamauchi fight even begins. To do this, clear out every single enemy in the area, then hide in some tall grass until the General goes back to his starting spot or starts patrolling. You will want to jump down from the ledge and sneak up behind him. You will need to be quick, as once he reaches a specific point on the ground, he will turn around. If you’re fast enough, you can deal a deathblow, making the fight a lot shorter. General Tenzen Yamauchi is comparatively slow compared to other bosses. Due to his sluggish speed, deflecting his attacks make the fight incredibly simple – provided you can pull them off. Look for the Sculptor’s Idol down the cliff opposite the entrance. This will make the “boss run” a bit shorter and allow you to stealth kill more enemies. Spend the first part of this boss fight simply clearing out enemies. There’s no sense in fighting the General while there are archers and soldiers trying to kill you. Don’t forget about the hag sitting up high who bangs on the gong! Danger thrust: Another danger move of Yamauchi is to thrust his sword at you. This move follows the danger symbol, so keep your eye peeled for him preparing a thrust. If you haven’t already, unlock the mikiri counter to easily deal with this attack and deal posture damage. Danger sweep: The General has a danger move where he sweeps his sword around at leg-height. Jump over this and kick in mid-air to deal posture damage. Outside of these two main moves, General Tenzen Yamauchi has a few other attack types. He has an over-the-head slam which can be avoided by dodging to the side, some quick slashes that should be deflected where possible, and some shoves and kicks. 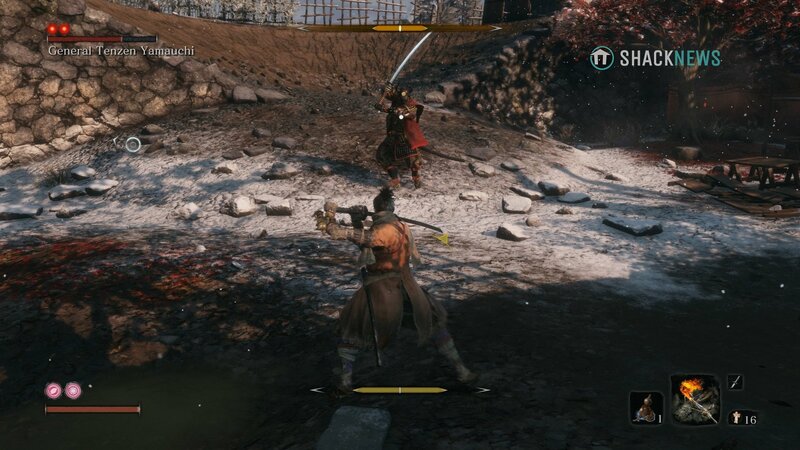 Overall, the General Tenzen Yamauchi boss fight is yet another chance to practice the deflect skill in Sekiro: Shadows Die Twice. If you can master deflecting this early on, you will be able to handle some of the later bosses with ease. For more boss guides, check out the Shacknews Sekiro: Shadows Die Twice page! Let me guess... git gud?